Situated in central Bedford, these office premises are available on highly flexible terms and include shared facilities. They are within easy distance of public transport links and local eateries. This fully flexible commercial property offers modern accommodation with an excellent package of services and right on the A6 south of Bedford. The space benefits from on-site staff to include the provision of reception and meeting/conference facilities. A whole range of office requirements can be met with flexibility on furnishing for example and with the option of deals available for taking storage space as part of the package. This smart and modern accommodation offers a full package of office and business services on flexible terms and all within easy reach of Bedford Town Centre. Benefits include fully furnished offices, staffed reception and internet access. Transport links include the nearby Bedford St John's Train Station and the A428. 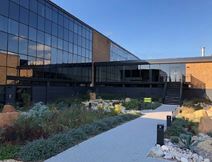 A high class modern development, this bespoke facility provides a superb working environment just minutes’ from Bedford town centre. Visually striking yet flexible office accommodation boasts access to a full range of executive services such as conference and hotel facilities, an LA Fitness gym and a bar/ restaurant. Transport links offer easy access to the dual hubs of London, as well as Luton Airport. State of the art business centre in this fully refurbished and furnished Georgian building. Situated in the heart of Bedford Town Centre, surrounded by shops (Marks & Spencer, Debenhams), bars, cafes and restaurants (Costa Coffee, Nando's), and other amenities such as banks and supermarkets. Transport facilities are good with buses and the nearby Bedford Railway Station, and a number of hotels are located across the town. Based in an innovation centre, part of the popular Priory Business Park, this serviced office space offers a great flexible package for the small knowledge-based business. The centre includes the option for lab facilities and on-site support functions such as a Business Link have created a thriving business community. Conveniently located, the centre is based on the A421 close to the railway station with its London link and only five minutes’ from Bedford Town Centre.